A promotional product that works as a marketing technique has to check a few key boxes. It must be useful or the product ends up stashed away in a desk drawer. It must be visible, so your brand is front and center to your prospects every time they use the product. 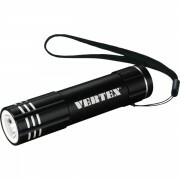 But most importantly, a promotional product has to stand out. Particularly in a trade show environment, your prospects will have endless amounts of giveaways pushed their way. Show them something they’ve never seen before. With that in mind, we’ve pulled together some of our favorite new promotional products for 2015. Power banks for recharging mobile devices were among the top promotional products last year. In 2015, we’re seeing some great new power banks that double as other useful items. Our favorite of the bunch: this LED flashlight/power bank combo. Who doesn’t love grabbing a coin and scratching away to reveal what’s underneath? 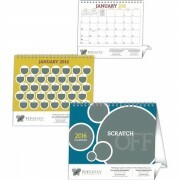 This scratch off calendar is a unique twist to the popular page-a-day calendars, and features daily scratch off spots where you can feature fun industry facts, key business selling points, or anything you can imagine. Bluetooth speakers are a great high-end promotional item, and we’ve seen them evolve into a wide range of styles, colors, materials. 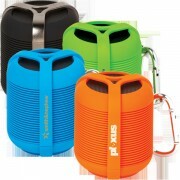 This clip-on bluetooth speaker can be attached to a backpack or belt loop, and customized to showcase your brand. 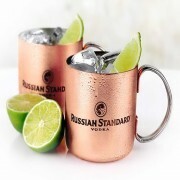 Even if the vodka cocktail isn’t your thing, these stylish copper-plated mugs make a bold presentation. The perfect new promotional product for 2015 if you like the versatility of mugs and cups but want to make a unique statement. 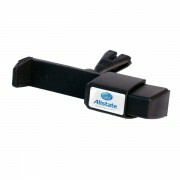 This smartphone holder adjusts to hold mobile devices of any size for hands free GPS, music and more while you drive. It’s extremely easy to mount, with a clip that attaches directly to your car’s vents. 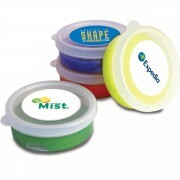 A new take on the stress reliever, this colorful putty stretches and forms to inspire creative thinking. Squeeze, cut and shape for stress relief and hand muscle exercise. The smartphone wallet gets a bonus feature with a two-way stand that folds out for horizontal or vertical viewing. Store credit cards, cash and identification in the convenient pocket.